In a bid to encourage tourism through high season, Thailand have announced that Single Entry visas will be free until the end of February 2017 and gives you 60 days in Thailand. 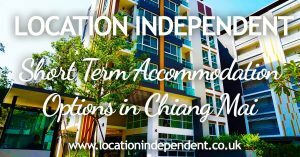 If you are coming to Thailand before end of May 2017, apply early so you get your visa for free! 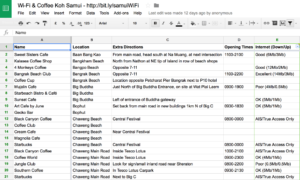 If you’re a digital nomad visiting Thailand, this ultimate guide should help you get data on your phone as soon as you arrive in Thailand, extra data with low cost hacks, free wifi on your computer and even the mythical Super Wi-Fi fibre speeds – and all at a super low cost price. 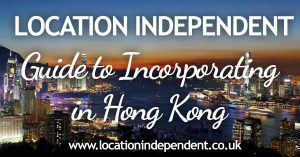 A digital nomad guide to incorporating a company & opening a bank account in Hong Kong. This will allow you to enjoy simpler frameworks and regulation around company taxes, an ease dealing with multi-currencies, and 0% corporation tax on offshore profits. Its a great place for some companies to setup. With one of the best beaches in the world, a growing nomad community, a top kitesurfing spot and only a couple of hours from London, Tarifa could be one of Europes best spots. 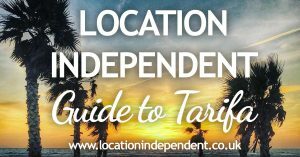 My guide to Tarifa will share with you my experiences of southern Spain in January to March. 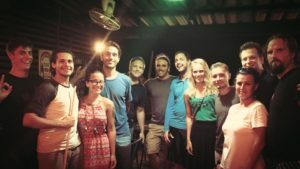 A brief update about working on Koh Lanta as a digital nomad, a small island off the south coast of Krabi Province in Thailand. The islands secret is KoHub, a fantastic coworking space in Long Beach.